Improve the look and energy efficiency of your home with top quality patio door or window replacement in Long Beach NY from Renewal by Andersen® of Long Island. Our experienced design consultants will help you to choose from our wide selection of stylish, energy efficient windows and doors and to find the perfect fit for your home. While energy efficient glass is crucial, your windows are made up of more than just glass. Renewal by Andersen’s exclusive Fibrex frame and sash material offers the strength and insulating value of wood with the low maintenance features of vinyl. Fibrex lasts longer**, looks better, and performs beautifully! 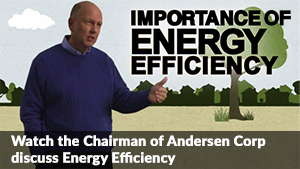 To learn more about the energy saving benefits and stylish appearance of Renewal by Andersen replacement windows for Long Beach NY homes, call Renewal by Andersen of Long Island to schedule your free, no obligation consultation.